Home recording has become increasingly popular throughout the past decade or so, as pricing for studio equipment and instruments has decreased as technology evolves and becomes more efficient. With demand never being higher, now might be an excellent time to consider trading in or selling your old equipment, which can you then parlay into new investments. As our name suggests, Record Head has held a firm interest in providing technology to local musicians and enthusiasts for more than 40 years. 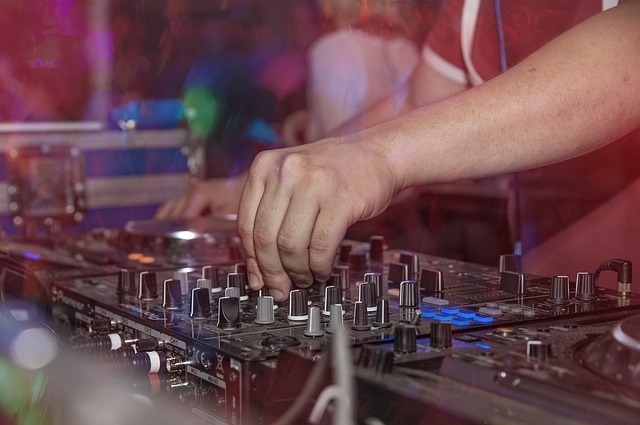 We will buy all kinds of studio equipment, DJ setups and live performance technology at competitive rates, which allows you to streamline the process and acquire the means to keep your musical interests supported. From popular brands like Native and Pioneer to less common ones, we welcome your business. While we entertain all offers, we might not always be able to accept what you bring us unless the items meet a particular set of criteria. Before you visit us, here are some tips to follow that will help ensure you receive the best deal possible. One of the most important aspects to consider when selling or trading in equipment is the condition. Small scrapes or chips are relatively minor, but other problems could seriously affect the value. If you want to get the most out of your computers, microphones, turntables, mixers and other devices, you should run a comprehensive set of tests to determine the visual, audio and physical quality they all offer. After all, nobody wants a turntable that destroys their vinyl records or a microphone that crackles while recording. It also helps if you bring some items in their original packaging, if you still have it laying around. That isn’t as important with cables or other miscellaneous technology. You should also give your products a thorough cleaning. Remove nonessential stickers, eliminate dust from keyboards and crevices, wipe down screens and give it a general polishing to bring back that original out-of-the-box glow. Not only should you track down the original prices of your equipment to gain a better reference point, but you should also go through an extended Internet search on popular sites to see what the going rates are now. Precision is critical here, as you’ll need to know the exact brand, model and production year of each product so you can find exact matches. You can then track specific trends you notice, which will likely go a long way in finding a reasonable price point. Is your item rare, or is it common? Is it a well-known brand, or is it less popular/discontinued? Is the product a year behind, or is it a few generations out of touch? When you gain answers to these questions through proper research, you’ll better position yourself in the long run. Generally, products receive a better price when they’re featured as the total packages you bought them as. You should always include device-specific cables, wiring and accessories, like table stands, so we don’t have to worry about matching them up with stray products after the point of sale. Power cords and connector cables can be expensive to replace, after all! 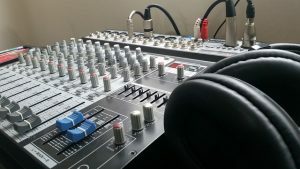 One aspect of trading or selling studio equipment that’s often forgotten is the registration that recording laptops and digital audio software (DAW) usually carry, which you sign up for to take advantage of their capabilities. For many famous brands, reselling isn’t permitted unless you unregister its license from your user account. Once you’re sure you’ve completed that process, we can accept your products without any issue. If you decide you’d like to buy new products from that same manufacturer, you’ll receive a license transfer ID that allows you to import it to your user account so you can keep your endeavors rolling without much delay. Studio equipment encompasses a vast array of different products, all of which can work together to create a comprehensive, professional setup. That said, it can be difficult to sell these items while gaining the best possible profit. That’s where Record Head enters the picture. We’ll answer any questions you might have regarding your used electronics and what you can do with them. If you’re in the Milwaukee area, we carry a blend of experience and local knowledge that other competitors will likely struggle to match. Contact us today to find out more about what we can do for you.